Scar is a formation of fibrous tissue in the skin or soft tissue following an injury. It can be unsightly and may cause discomfort especially over exposed areas such as the face and limbs. Severe scarring may affect function such as joint movement. Scar is the end product of a normal healing process. Any form of injury except a minor one will produce scar. Injury may be as a result of trauma, surgery or infection. The injured tissue will be replaced by fibrous tissue and this process will occur in any part of the body. Scar will fade over time but it will not disappear completely. An optimal scar will be flat, linear and pale which is also called a matured scar. Picture 1: Optimal scar after removal of a mole. Following an injury the body will initiate the healing process. During this process the body will produce a type of protein called collagen that helps to strengthen the injured tissue. The increased production of collagen and new blood vessels will make the scar appear red, raised and shiny. As the healing process continues collagen starts to disintegrate and blood flow reduces. The scar will reach its maturity and appears flat, soft and pale. 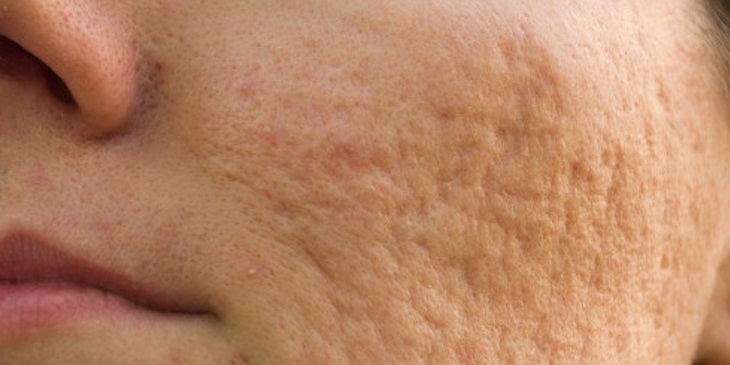 Excessive production of fibrous tissue will lead to a raised and firm scar formation. Scar may form in any part of the body. Several factors may affect the quality of the scar such as the site of body part involved, genetic, skin colour, age and complication during the process of wound healing. Areas such as the chest, back, ear lobe and shoulder have a higher risk to develop keloid scar. Scar over the joint such as knee and shoulder may widen due to constant joint movement. Scar over joint surfaces such as fingers, elbow, armpit and neck may cause scar contracture. Dark skinned individual has the tendency to develop keloid scar. Genetic factor also plays a role in developing hypertrophic or keloid scar. Wound that is not appropriately closed or complicated by infection will take longer than two weeks to heal. Any wound that takes longer than this period to heal will risk developing hypertrophic or keloid scar. A younger person has a higher risk of developing scar complication as compared to the elderly due to the reduced formation of collagen. 2) Keloid Scar. Keloid scar is formed by an excessive formation of fibrous tissue. It can grow in size and will affect the surrounding skin. This scar is dark in colour and unsightly. It is sometimes painful, itchy and may affect movement. 3) Atrophic Scar. Atrophic scar is a depressed scar. It is commonly seen in post acne scarring called ice picked scars. 4) Scar Contracture. Scar contracture is commonly seen following a burn injury or any other injury resulting in skin loss across the joint surfaces. The fibrous tissue formed will pull the skin across the joint and limits the joint movement. Scar contracture may also occur in areas such as the eyelids and lip region. Scar that is formed will fade over time but it will not disappear completely. There are however several methods to prevent complication. 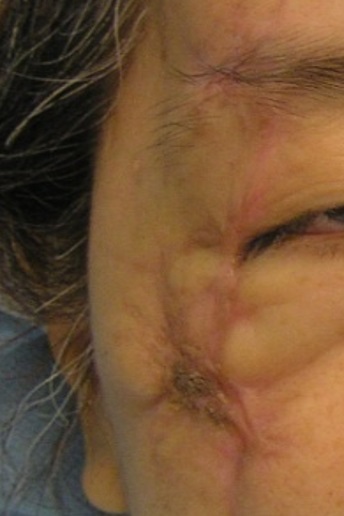 A scar that has developed complication can also be treated by surgical intervention. 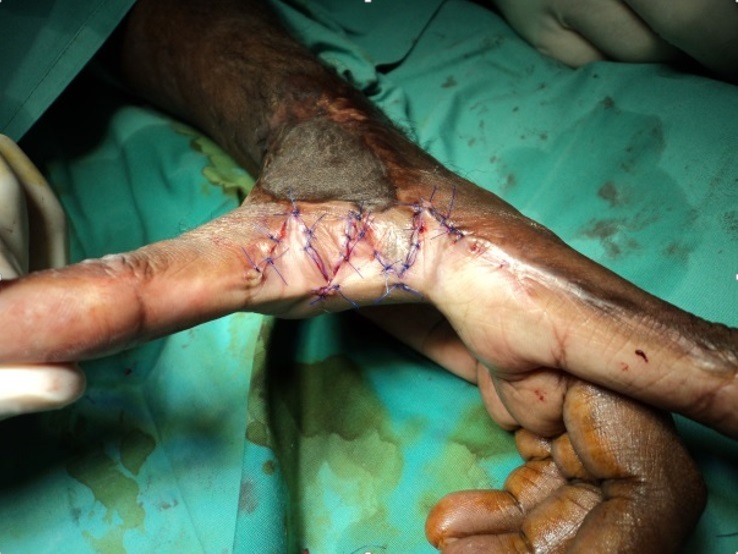 A good technique in wound suturing and wound care will produce a better scar. Wound infection will cause delay in wound healing hence at risk to develop hypertrophic or keloidal scar. Sun exposure on the scar will produce hyperpigmented scar. Use sun protecting clothing and sunblock lotion when outdoor if possible. Regular scar massage with moisturising ointment helps by applying pressure on the fibrous tissue. Silicone is believed to provide moisture and soften the scar. Silicone comes in gel sheet or ointment in the management of scar. Both preparations are available for the comfort of the patient. Pressure garment is a special material sewn to the required measurement to apply constant pressure over the scar. It must be worn at all times except during bathing. It must also be applied for at least 12 months to achieve satisfactory result. An interval injection of steroid into the scar tissue will help to flatten the scar. This injection has to be repeated over time until the scar becomes inactive. Scars can be treated by specific Laser machine. However it is a cosly of treatment hence this method is not widely used. Procedure like microneedling,and dermabrasion helps the new collagen formation within the scar. Subcision is a procedure to release a depressed scar and this procedure is usually followed by injecting dermal filler under the scar to achieve a smoother skin appearance. 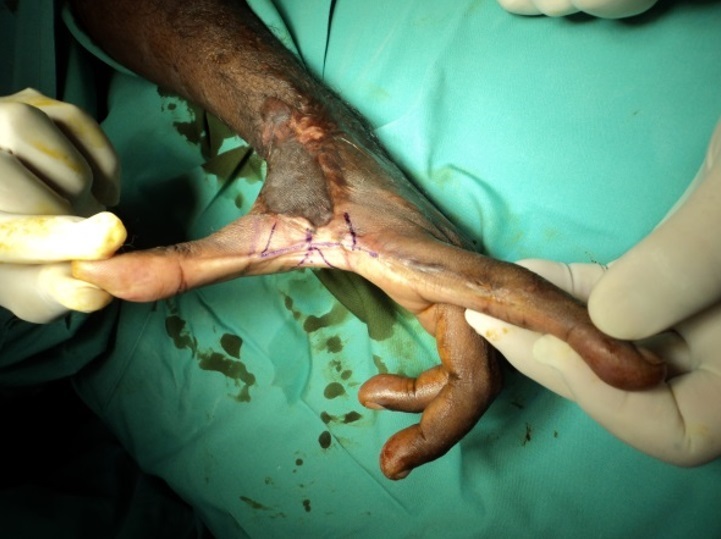 Surgical intervention is carried out when there is complication such as scar contracture. Z- plasty or W- plasty is done to alter the direction of the scar so that it becomes less noticeable once healed. 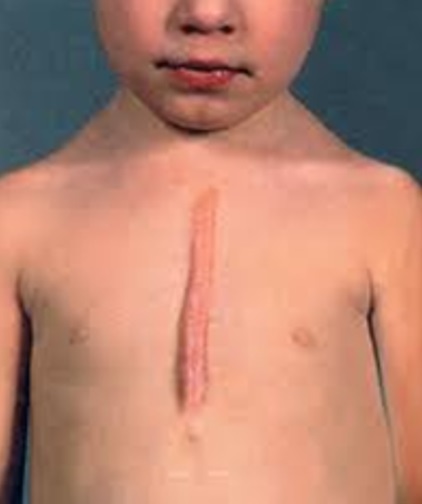 Scar contracture requires surgical release and this will produce a new wound that needs to be covered by a skin graft. The skin graft is the patient’s own skin that is usually harvested from the thigh area. Patient who opted for surgical intervention must be compliant to the rehabilitation programme of scar management as the recurrence rate of scar complication is high. Scar Treatment: Types of Scars and Their Treatments.